In certain situations, the right earphones can fall into a niche category. When we are talking about a specialist usage you need to know what is the best. You don't need fluff or padding designed to fill out a list you want the best. So that is the reason why only 5 headphones have made this list of the most durable earphones. Because if it is durability I your after, if that is the most important feature to you, then really you should only be looking at the models down below. What makes a durable earbud? Durable earphones (or earbuds) are in ear headphones that are built to last. They are made to take a beating and still keep playing music the same way the did on the day you bought them. Durable headphones and IEM's are perfect for travelers and commuters. They might not always have the best sound quality but sometimes not having to worry about babying your portable audio gear is one less thing to worry about. All sorts of people might need a tougher set of headphones and whether you are working construction, hiking the trail or you just train like a beast these earphones will stand the test of time and give more mileage for your dollar. How we test earphone durability? Everyone is going to be different in the way the treat their earbuds but for me I would say I am far rougher on my gear than the average consumer. Currently I am training for an Ironman Triathalon and have been punishing my audio gear for the past 8 months. Hours of getting sweated on tugged at, dropped and thrown in and out of kit bags during transitions have meant that I need a pair of tough headphones that can take the punishment I throw at them. Mike abuses his headphones by taking them downhill mountain biking, rock climbing and skiing and Matt is a headphone assassin who has killed more headphones that myself and mike combined by just being generally lazy and reckless. We think that putting the earphones through the rigors of daily life and deliberately not taking it easy on them will show up any deficiencies pretty fast Between us we have killed 14 sets of earbuds since 2016, these are what we feel are the most durable models and the ones we recommend if you are rough on your gear. The most important features when choosing set of durable earphones? There are plenty of areas where you just know something is going to be a rugged set of earphones and its a mix of these individual factors that give you confidence in the oveall products ability to stand the test of time. We reckon we have gotten pretty good at knowing from the get go if and earphone or headphone will stand up to our use. Some things stand our and here are some things we look out for when we put them through the ringer. We are looking for the earhones to be made out of tough hard wearing materials. Cheap and flimsy plastics wont do here. We want to see the earphones beaning made out of metal, high grade reinforced plastic or ceramic. A rugged and durable earbud doesnt need to be waterproof (even though it helps) but they should have excellent sweat and moisture resistance. Nothing kills as set of earphones faster than water and when running and cycling this couldn't be more true. The cables are incredibly important and more often than not is what will go first when a headphone dies. We either want to see a nice thick and high quality cable or we want detachable and user replaceable cables. No questions asked warranties are best but we also look out and give points to earphone companies that offer more than the standard 1 year warranty. Not only is this good if something does go wrong but it is also a sign that a company has faith that their earbuds are built to last. What earphones did you test for durability? This list of the most durable headphones has taken almost a year to compile and during that time we have been rating over 100 headphones and earphones on how well they hold up to extreme use. For the most part we consider how durable a set of earbuds and earphones are when we review them. To make this list we have selected 15 that we deem to be extra tough and singled them out for extra abuse. We have then used these in ear headphones whilst snowboarding, mountain biking, sailing and a whole range of activities. After all that we think we have got it narrowed down to a select few and came up with this list of the top 5 most rugged earphones in 2017. Now one thing I want to point out is that if you are buying your earphones based on how tough they are and the ability to withstand more abuse than the mainstream headphones you will typically be sacrificing a little on sound quality vs a nonspecific rugged earphone. All of the models on this list still sound great but that was not the reason they were added to the list. The best sounding of the 5 listed here are the Campfire Audio's for general listening and the RHA t10 if you love bass.. The Shures are very competent performers sonically and are much loved by musicians and audiophiles around the world. 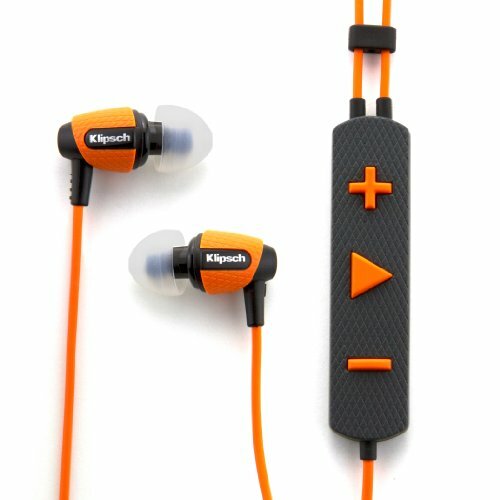 The Westone and Klipsch Models are my least favorite based on sound but consequently are the two that are built, styled and designed specifically for use in harsh environments. Westone is one of the few big name companies who have specifically designed a line of earphone with durability and the ability to take punishment as a priority. They offer a number of earphones in this series but I think the 74800 are the best option from a price and performance standpoint. 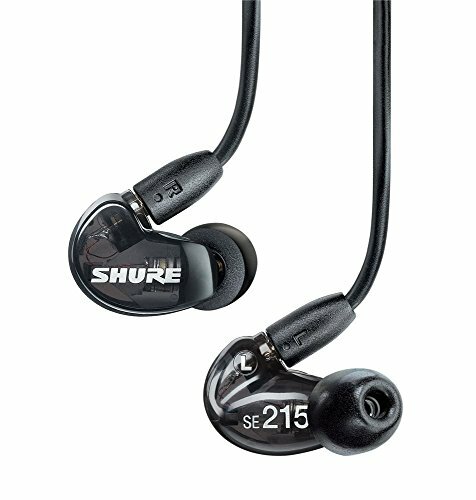 They are an over ear monitor style earphone very similar to the Shure SE215 we listed below. 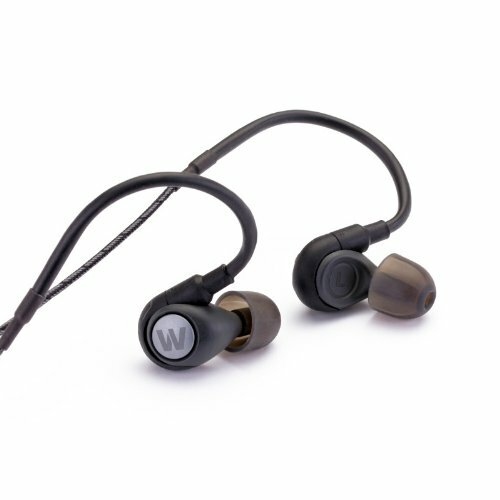 Like the Shure earphones the Westone adventure series is derived from the companies line of stage monitors so it already has a pedigree when it comes to durability. Everything has been ruggedized with soft touch finished, extra bash protection and an even tougher cable to make sure they work well in extreme environments. The Klipsch S4 earphones have long been considered as a good sounding earphone at a great price and so Klipsch's choice for using them as a base for their rugged earphone line was a smart on. They didn'tgo and reinvent the wheel because they had such a good base to work from and instead of a complete overhaul they just upgraded the original model with a lot of great features designed for outdoor and adventure enthusiasts. Users of the S4i Rugged get a huge chunky inline remote that can be used with gloves and the whole package is covered with a rubberized texture for better grip and protection against hits. At well under $100 on the US market they are easily the best bang for buck headphone on this list. The sub $100 Shure SE215 has been a go-to recommendation when people ask us what tough headphone they should buy. It's specifically designed to be used by musicians as a stage monitor. Musicians are notoriously hard on their gear as it is essentially a tool for them. Their earphones get sweated on, carelessly thrown in bags and dropped and yet they keep on going. A fantastic mix of design, building materials, and tight punchy sound mean that they are perfect for use in scenarios where other earbuds won't hold up. Throw in an excellent warranty, great after sales service and the availability of aftermarket parts and the 215 are damn near perfect for any task. 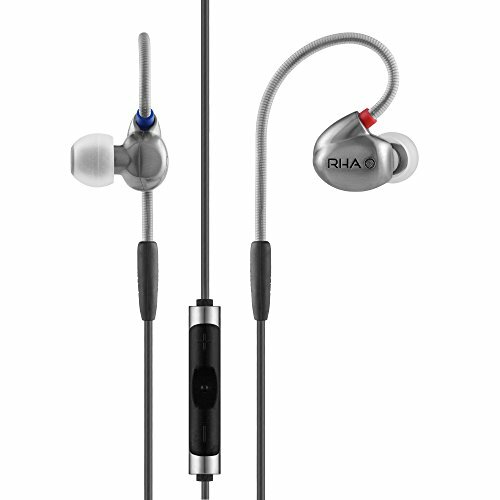 Another long-term favorite for when I give my headphones abuse is the RHA T10i. These are true basshead earphones that deliver unreal levels of sub bass. Also, they are built like tanks. All metal body, hard wearing knurled jack points and an industry leading 3-year warranty. These have been my own go to set of earbuds for the gym for the past 3 years and I have also had them with me when riding month long motorcycle tours through India, Vietnam and South America. Honestly, my set still look brand new. I also like that you can now pick up a set of the T10i for under $200 which makes them a better buy than ever. If you listen to a lot of electronic and bass heavy music these are one of the best sounding sets of in ears you can buy and if you intend to be more than a little tough on them be safe in the knowledge that the T10i can take it. Whilst the other earphones on this list are certainly tough none of them will come even remotely close to sounding as good as the Campfire Audio range of earbuds. Not only do CA posses some of the best sound quality in any earphones they have also built them in a way that they are almost indestructible. All metal construction to the highest quality tolerance and finish give them a sturdy and hefty feel and the inclusion of detachable cables further extend the lifespan of these outstanding IEM's. Of course they aren't cheap with the base model Orion starting at $400 in the US. Also users will want to go for the first gen models as like the Orion, Jupter and Andromeda as they all feel the strongest out of the lineup.